Hello Everyone and welcome to my post-trip blog about my recent motorcycle trip to Alaska and back. In order to get things up and going as soon as possible, and to make it a bit easier for you the viewer to digest my presentation, I will break it up into parts. I have decided to try and make the presentation slightly more brief than originally planned. But then again, I thought I would be able to do a lot of “presenting along the way”. Boy was I wrong. So here goes. 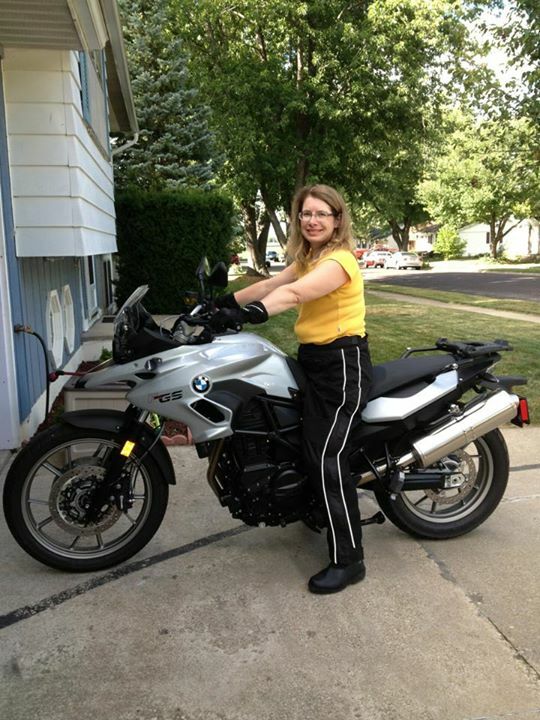 On June 27th, 2013, I left my home in Central Illinois on my 2009 BMW 1200GSA motorcycle for a 30-day trip that would see me travel by road as far north as is possible in North America, then head down to Salem, Oregon to participate in the 41st BMW MOA International Motorcycle Rally. Finally I would travel south along the western coast of the United States down to San Diego, California. After that, it would be off to Alamogordo, New Mexico to say hi to my father. Then on east towards Fayetteville, Arkansas to visit with some relatives before turning north and arriving back home. Before I get into the meat of this trip, the first of many to be undertaken by me, I would like to spend a little time explaining why I chose to travel by motorbike. I apologize in advance if I bore some of you. But many people have asked me why I have chosen to do this. So I will try to be brief. Motorcycles are not new to me. I first began riding back in 1968. I took my first cross-country tour in 1982. I still own that bike. Actually, as I write this, I now own six motorbikes. Each has a specific purpose in life. Think of them as shoes. How many different types do you wear? So let’s talk about why I want to travel by motorbike. There simply is no other way to travel if you really want to experience the real world. Yes, you can travel by the plane, train, or automobile. But in doing so, you in fact isolating yourself from the very things that make the travel experience, well, an experience. Someone once said something along the lines of “Travel by car is like watching a movie. Travel by motorcycle is like being in that movie.” When you travel by motorbike, people seem to be drawn to you. They see you as possibly somewhat vulnerable. Maybe you need help figuring out where to go next. Maybe they are locals. Maybe not. Either way, they think they can offer help or information. And so they approach you. Then of course there is the motorbike. When they see the bike all loaded down, they know you are coming from somewhere and heading somewhere. 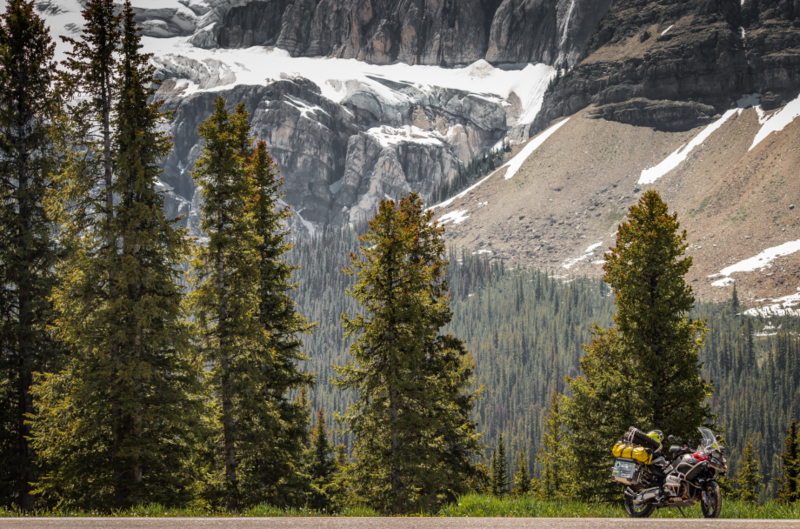 And while that is true in any mode of travel you may choose, a motorcycle adds a whole new dimension to travel. And people know it. To many, you are an adventurer. Not afraid to take on the elements as you travel around the globe. Someone who will have travel tales to tell. Someone who I living the dream. Maybe someone who is living their dream. Many people dream about just hopping on a motorbike and heading off on a journey somewhere. But there are hundreds of excuses, oh excuse me, reasons, why they don’t do so. I won’t go into all the reasons. I know many of them myself first hand. So when suddenly you just magically appear, right in front of them, they just have to talk to you. They want to find out where your going, where you’ve been, and what it’s like to be able to just take off and seemingly leave all the troubles of the daily grind behind. Ask any motorbike traveler about something as simple as refueling at a gas station. It’s impossible not to have people approach you if your bike is all loaded down with panniers, bags, spare tyres, etc. I’m one of those people who decided it was time to get back on the bike and travel. Like I said before, I know of all the excuses why I could not do this. I have a full time job. I have a wife and family at home. I have financial obligations. Where does the money come from to finance such a trip. What if this happens, or maybe that. The list goes on and on. But the facts are this: I’m not getting any younger. And far too many people I know have suddenly become ill and passed away. If I don’t start traveling now, when will I? Or maybe the question is will I be able to? As far as I know, I only get one shot at life. Maybe it’s time to evaluate my situation in life. If I really want to travel, there’s no time like the present to get going. And my first trip would be to travel to Prudhoe Bay, Alaska. Supposedly, Mark Twain once said “Twenty years from now you will be more disappointed by the things you didn’t do than by the ones you did do.” I have no idea if he really said that, but it sure makes sense to me. I have lots of other sayings I could repeat here. But the bottom line is this: it’s simply time to do it. So let’s get started! There’s no better time than the present. So in my next installment, I will go into the why and how I chose the timing of my trip. Hi everyone. I have made it back home and will soon be updating this site with pictures and stories of my trip to Alaska. In the mean time, here is a picture of my wife and her new bike. We picked it up Saturday at Gateway BMW in St. Louis. I got to ride it home. We have lots of plans for upgrading the bike to get it ready for touring. 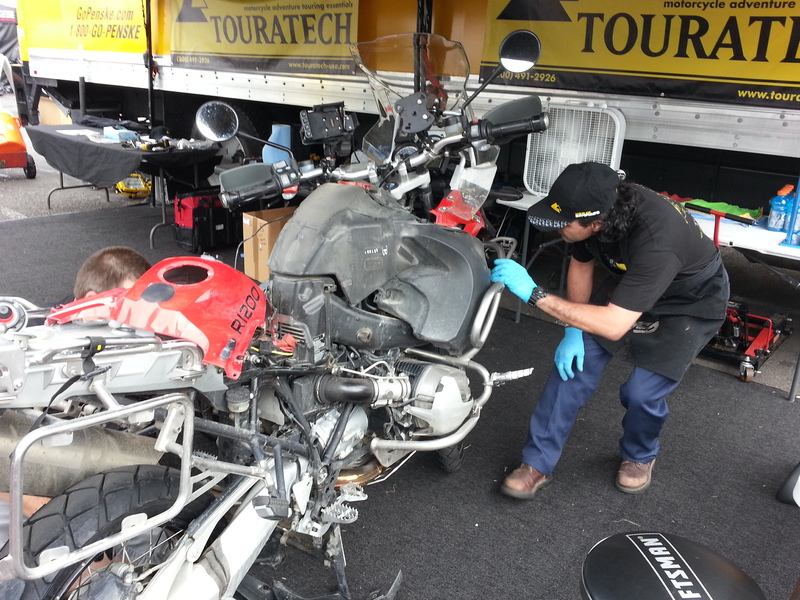 Touratech will be able to stay in business another year. Amazed at how many people bring their dogs with them on the motorcycle. The smallest one, on top of the double stroller, rides in the tank bag. Hello everyone from sunny Salem, Oregon. I am at the BMW MOA International Motorcycle Rally. My friends at Touratech installed new shocks on my bike yesterday. My wife has flown out and joined me. This trip has been quite a trip so far. I have many pictures and stories to share. But due to the lack of high speed Internet in many places, it has been difficult to share much. Today my wife and I are touring three different wineries and doing some sampling of wines. Later we will be back at the Rally. I will continue to document my trip and provide updates. But many pictures and such will come a bit later. Sunday, with the Rally over, my wife Flys home and I head to the Oregon Coast for a nice ride down it.. Stopped by the Touratech Shop in Seattle today. Lined up some new shocks for my BMW. Helge Pedersen showed up and we discussed the Alaska portion of my trip. Then we talked about tools to take on the road. 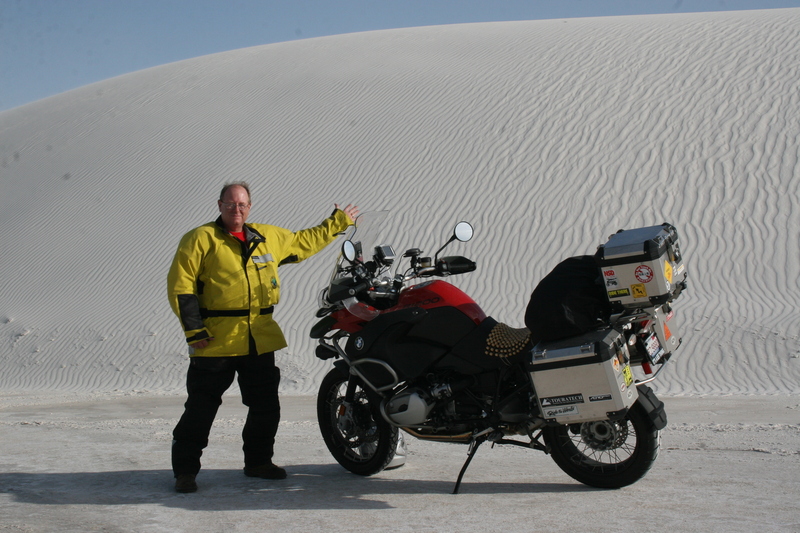 I have used Helge as a source of information as he has been traveling around the world on BMW motorbikes since 1981. He gave me a hard time about not following his advise to the “t” regarding marking my tools. Learned about the importance of doing so today. We also discussed getting the proper shocks for the bike. Touratech’s new shocks have been tested extensively off road and have passed every test. They are the only shocks Helge has used and not had one fail yet. Mine have 40,000 miles on them and are showing their age – badly. And they are rebuildable should you need to service them. To seal the deal, Touratech set up my shocks for specifically for me and how I ride. And they are taking them to the BMW MOA Rally with them tomorrow. They will install them on my bike at the Rally. What a great deal! So the next time I go flying through the air with the GSA loaded down with all the gear, I won’t have to worry about breaking a shock. Hello Everyone. I’m coming to you from Everett,Wa tonight. They let me back into the states today. Although the customs agent, a bike rider, really wanted to see my stickers from Deadhorse and the Arctic circle. But since they are buried in a pannier, and there was a long line behind me, we decided that would probably upset the people in line if we took time out just to look at stickers. So he said maybe next time. It is on his bucket list to get to Deadhorse. I’ve got over 512 pictures to go thru, taken in the last two days. Who knows how many videos. This will be my home base over the next couple of days. So I will try to get some pictures and maybe a video or two uploaded now that I have a reliable 4g internet. Tomorrow I’m visiting the guys at Touratech. Hopefully they have not left for the Rally yet. Wednesday I’m at Ride West BMW in Seattle. Then it’s off to the Rally in Salem, OR. Hope to see some of you there. I’m in Fairbanks, headed to Haines, Junction, BC today. Good morning Everyone. Yesterday i stood in the 33 degree water of the Arctic Ocean and washed off my motorcycle suit. The air temperature was34 with a 30-35 mph wind. Wind chill, i have no idea. But it was cold! Never the less, I made it to the ocean, I stood in it, and now I can say I did it. I come to you this morning from Fairbanks, AK, after riding the full length of the Dalton and then the 78 miles back to Fairbanks. It took 13 hours of straight riding with only one stop in Coldfoot for gas. That’s a long time to cover only 500 miles. I arrived at my hotel around midnight. I intended to leave around 3 AM for Haines to catch a ferry, but was too tired and decided not to risk riding while so tired. I had just taken one of those little 5 hour energy drinks when I decided to stop loading the bike up and go to bed instead. So at 1:00 am, I hopped into bed and slept until 6:30. Energy drink didn’t keep me awake. So today I am riding to Haines Junction, BC. No ferry rides for me. That was the only one that fit my time table. And to be frank, I’d really rather ride the bike anyway. So I will report back in a couple days. I believe I will not have much in the way of internet access again until until maybe Sunday night. So be safe all. Hello from Deadhorse, Alaska. I took this picture this morning while driving up to Deadhorse from Coldfoot. I shot over 150 pictures today along the Dalton. I simply could not have taken these photos had I ridden the BMW up here. It was a tough decision, but in the end, I wanted the pictures more than bragging rights of riding to Deadhorse. Arctic Circle i did on the bike. But North of Coldfoot, I knew the scenery would dictate lots of stops on the road. Hello Everyone. i told you I was changing my plans and they are coming together quite nicely. Yesterday, i rode on through Tok from Whitehorse and onto Fairbanks. This gives me an extra day in Fairbanks. So today I am am riding the bike up to the Arctic Circle, maybe even on to Coldfoot if I have the time. Then it’s back to my hotel in Fairbanks tonight. Tomorrow i will pick up the Ford Escape from Arctic Outfitters and head towards Deadhorse. I’m still trying to adjust scheduling a bit on the Deadhorse run making it at least three days, rather than four. Yesterday, a mostly uneventful ride except that about 20 miles from Fairbanks, I think i drom through someone’s bear spray. Not really sure what else it could have been. But I was on the highway, passing through an area of campers and such, at about 65 – 70 mph. Suddenly my lips began to burn. Then my eyes began to burn, then water, profusely. I soon found myself nearly unable to keep my eyes open. There were no turnoffs along the road so I tried to continue on to find one. But I could not. With eye site getting to the point where I could only squint out of my eyes, one at a time, I had to pull over. So I pulled over as far onto the shoulder of the road as possible and got off the bike. Found a towel, wiped my face and eyes, then took a second towel and soaked it with water from my water bottle and washed my face and eyes out. Soon i could see just fine, lip burning began to subside, and my eyes stopped watering. All seemed good again. So i put everything away and headed off on my merry way towards Fairbanks. No more problems. As i rode along i tried to analyse the situation. I was driving into the wind, passing through an area where there are known bears, and people camping and such. Hmmm? Maybe a bear was a bit too friendly. I hed the bed and 12:20 AM this morning, and it was still daylight out. I shot a video to show the light but when i was done, and back in my room, I realized I had my video camera set to take a picture not video. So that didn’t work so well. I laughed along with the desk clerk and another patron of the hotel who was trying to get her beer bottle open. Two , no make it three counting both the guy and the lady behind the desk and the lady with beer, were trying to open a bottle of beer with the most strange opener i have ever seen. We were all laughing at my shooting a video in the “picture” mode and the fact that it seemed i was the one who needed the beer. So I asked them let me have a go at it. I popped the bottle right open with the opener, but using it completely differently that they had been doing. They asked if i had used such an opener before. I said no, but am staying at a Holiday Inn tonight. They had a funny look on their faces, then at the same time all three of them remembered the Holiday Inn commercials and then we all had a big laugh. Sorry if some of you don’t get the joke. But it was funny. So off I go to the Arctic Circle. Hope to have pics and an update tonight.